Three years ago, I was a mom fed up with all the junk food that my kids were get­ting at school. From cup­cake and ice cream par­ties to Froot Loop neck­laces and McDonald’s field trips, it felt like they were being handed unhealthy processed food left and right–the very foods that we were try­ing hard to avoid. A cou­ple moms with older kids told me not to bother try­ing to change it–the sit­u­a­tion was hope­less. I didn’t listen. 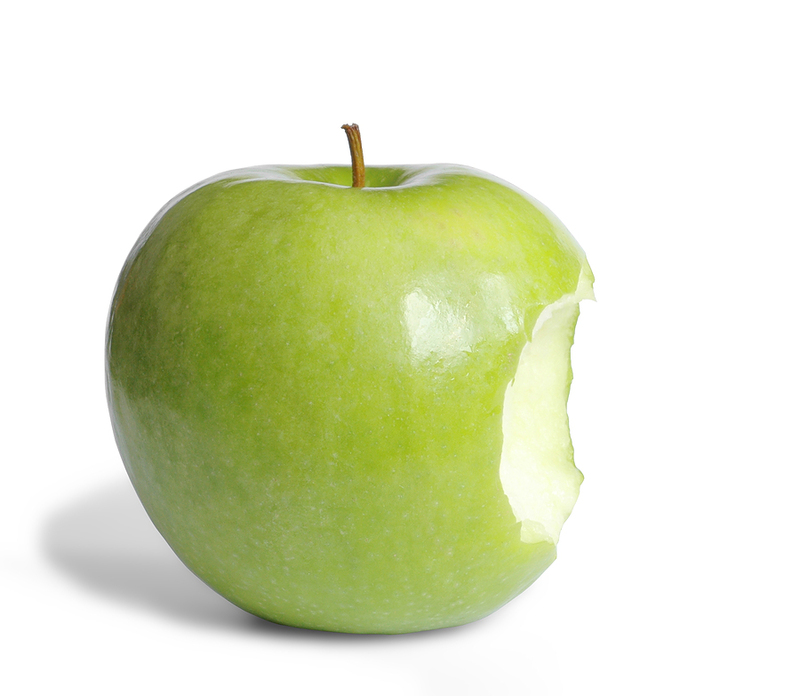 Flash for­ward to today, and my kids’ class­rooms are essen­tially junk-food free. Instead of cook­ies and donuts, they have clemen­tine pump­kins and apple tast­ings. Birth­days are cel­e­brated with addi­tional recess or a healthy snack such as popcorn–not cup­cakes. Ice cream and candy rewards? Now, they get a pajama party or extra time on the playground. Chang­ing the food envi­ron­ment at a school–or an after-school pro­gram, child­care cen­ter, or sum­mer camp–is rarely quick and easy. But it’s nec­es­sary if we are going to reverse ris­ing rates of child­hood obe­sity, dia­betes and other deadly health prob­lems threat­en­ing our chil­dren. Since every school dis­trict is dif­fer­ent, there’s no one-size-fits-all approach. I per­son­ally tried many avenues (from start­ing a well­ness com­mit­tee to talk­ing to my kids’ teach­ers and their school prin­ci­pal) with hit-or-miss results before join­ing forces with a local reg­is­tered dietit­ian and other con­cerned moms for the big win. What finally worked was a stronger dis­trict well­ness pol­icy com­bined with teacher edu­ca­tion (SEE Healthy Class­rooms Ini­tia­tive: Edu­cat­ing Teach­ers on Healthy School Cel­e­bra­tions, Non-Food Rewards & More). I man­aged to get a spot on a com­mit­tee that was con­vened to update our pol­icy accord­ing to the Healthy, Hunger Free Kids Act. Not all dis­trict offi­cials wanted to do away with cupcakes–one even argued that junk-food cel­e­bra­tions can be an impor­tant part of cul­tural tra­di­tions. But we had enough sup­port on the com­mit­tee to push it through. We then found a grant to help launch our Healthy Class­rooms Ini­tia­tive, which helped ensure that the pol­icy was directly com­mu­ni­cated to all staff. At my kids’ school, the new pol­icy was announced at the start of the school year. Our prin­ci­pal issued a strong mes­sage to par­ents: Cup­cakes, cook­ies and brown­ies do not meet our dis­trict nutri­tion stan­dards and shouldn’t be served at par­ties. Some teach­ers balked–particularly those in the habit of using candy as an incen­tive. But to my knowl­edge, there hasn’t been a ton of push back from par­ents. In fact, I’ve heard many say that they’re pleased with the change. Rumor has it other schools in our dis­trict have expe­ri­enced more of an uproar. I fig­ure it’s like the seat belt law. Some peo­ple were out­raged at first, yet we all now wear them with­out giv­ing it a sec­ond thought. And every day, lives are saved. All I know is, since the change, my kids are eat­ing bet­ter and demand­ing less junk food (shocker, yes!). They actu­ally eat their lunch at school and are hun­gry for a healthy after-school snack. Their teach­ers have come up with ways to reward them with­out dish­ing out ice cream or candy. And now, every once in a while, I can treat them to spe­cial dessert (whereas before I felt like I never could) and relax on hol­i­days like Halloween. And it isn’t just about MY kids: Think of the poten­tial dif­fer­ence it’s mak­ing for chil­dren who don’t have access to healthy food at home. So to all of you who are work­ing hard to change the food envi­ron­ment in your class­rooms and schools, KEEP FIGHTING! 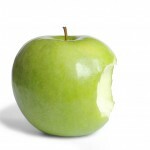 (SEE Call­ing All Moms: How YOU Can Make a Dif­fer­ence in the Fight for Health­ier School Food). Trust me, I know how ardu­ous and frus­trat­ing it can be. There are plenty of times that it felt hope­less. So every time a door shuts, please take a deep breath and look for a win­dow (or a chimney–thank you, Fear Nada Healthy Mama!). And remem­ber that change IS pos­si­ble. 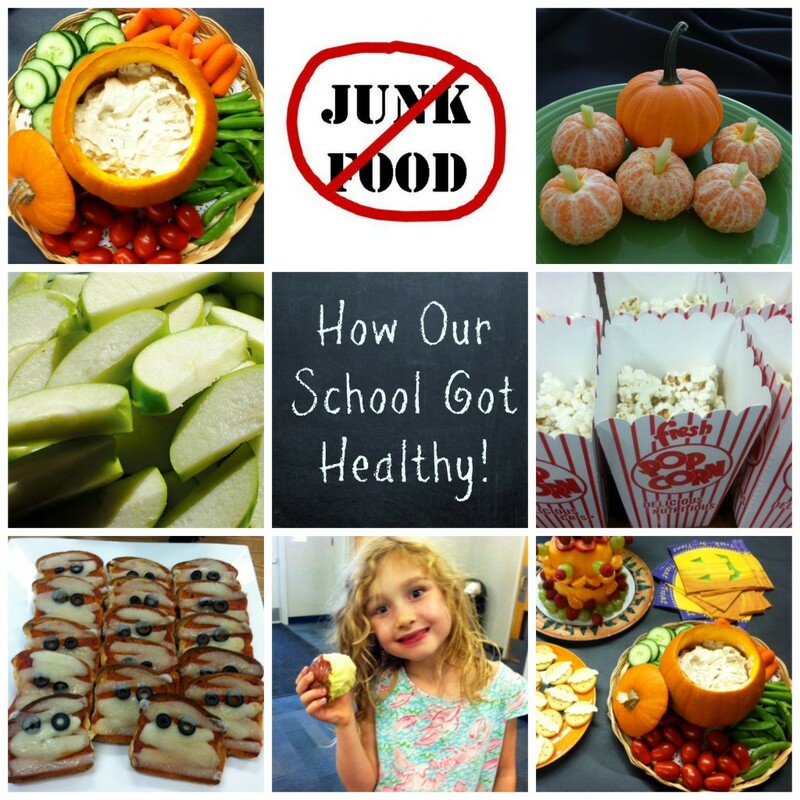 Are you fed up with junk food at your child’s school? What, if any­thing, are you doing to fight back? Please scroll down to leave a comment! Should We Just “Let Kids Be Kids” When It Comes to Junk Food? Rant of the Day: Please Don’t Feed My Kids Junk Food at School!